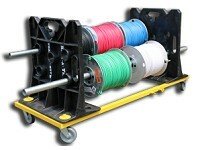 E-Z ROLL WIRE RACK is the ultra compact / collapsible wheeled wire dispenser. 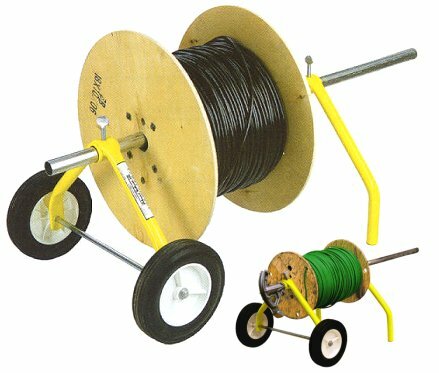 When you're ready to pull wire, wheel the E-Z ROLL into position and dispense wire directly from your pipe bender or 1" EMT. 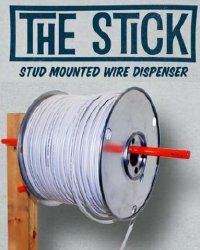 Most wheeled wire dispensers are too big for your truck and they only hold little wire spools. 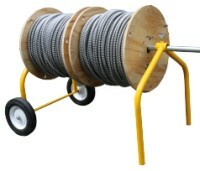 The E-Z Roll Wire Rack knocks down in seconds and handles reels to 18 inches. (150 lb. 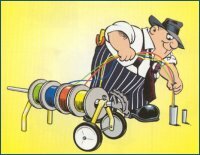 Load Tested). 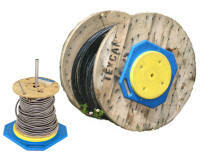 Use a conduit bender or scrap of 1" EMT (not included) for an axle/handle. 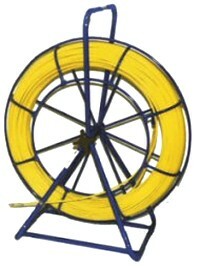 The E-Z Roll is big enough to handle 1000' rolls of Romex., but small enough to fit in a Job Box. 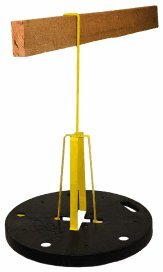 Simple, Effective, Rigid Steel Construction and Light-weight Design.